It's another Bachelor Nation social media controversy that has ended in a public apology. 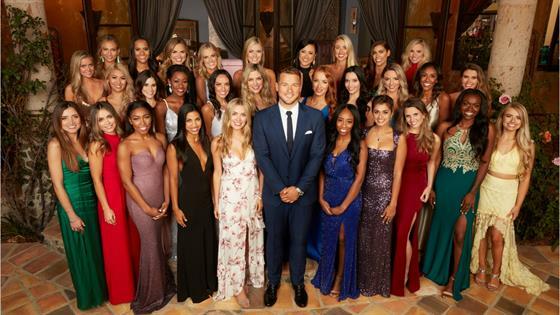 ABC recently revealed the 30 women who will compete for Colton Underwood on the upcoming season 23 of The Bachelor. Reddit fans uncovered some skeletons, namely old, offensive tweets posted by contestant Tracy Shapoff, a 31-year-old wardrobe stylist. In her posts, she fat-shamed people, used the R-word, made racist comments and even appeared to bash The Bachelor. "I want to start by expressing my sincerest apologizes for the extremely hurtful words that I said many years ago," she wrote on Instagram on Friday. "I'm so sorry for those who I have offended. I am beyond mortified that I ever had those thoughts and then proceeded to express them. By no means does this reflect the person who I am today. To the people who do not know me, I am a loving, kind, thoughtful, generous, and compassionate woman. I am not mean-hearted or hurtful." "The people I have always surrounded myself with are very diverse and come from all over the world," she continued. "I have a huge heart and a very open mind. In the many years since writing those tweets, I have made a conscious effort not to be judgmental and to be accepting of all people. I have gone into a field of work where I am able to help women and men have positive images of themselves, their bodies, and feel beautiful in who they are. It is the most rewarding feeling being able to work in such a diverse field. It shows me the beauty in all people and I am so lucky to have this opportunity." She added, "I do not defend any of the words I have tweeted, I just want to deeply apologize and learn from my mistakes. I wholeheartedly reject all of those sentiments. That being said, I take full responsibility for my tweets and will use this as a learning experience. I hope that we can continue to spread love and kindness in the world." ABC, which famously fired Roseanne Barr from her own hit sitcom earlier this year over she posted a racist tweet, declined to comment on Shapoff's past social media posts or her apology. The Bachelor season 23 premieres on ABC on Monday, January 7, at 8 p.m. ET. This is not the first time a Bachelor Nation contestant has been called out over past offensive social media posts, just after they were thrust into the spotlight. Earlier this year, after Garrett Yrigoyen was shown receiving the first impression rose from new Bachelorette Becca Kufrin duringThe Bachelorette season 14 premiere, social media users unearthed screenshots of what appeared to be his Instagram account "liking" some offensive posts, including some disparaging women and the transgender community and one accusing Parkland shooting survivor David Hogg of being an actor. Yrigoyen, who ended up the show's winner, apologized for his past posts, writing on Instagram, "I am sorry to those who I offended, and I also take full responsibility for my 'likes' on Instagram that were hurtful and offensive." In 2017, racist and sexist tweets The Bachelorette season 13 contestant Lee Garrett had posted in prior years were unearthed after he was cast on the show. Host Chris Harrison called him out over them on the Men Tell All special. "I'm sorry for saying things when I was not educated and ignorant in those subjects," he said, drawing cheers and claps from the other men.